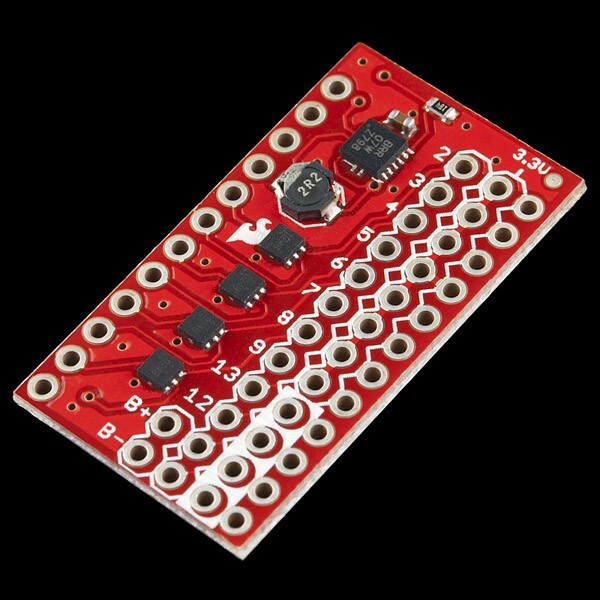 Description: Developed by Dave Vondle and IDEO Labs, this board is essentially the same as our Power Driver Shield, but the through-hole parts have been switched out for smaller SMD construction, allowing you to to drive high-current switches with your Arduino Pro Mini. This is a great shield for small prototyping. Note: The power circuit chip is only rated to drive 0.6 amps. However, we've successfully tested it to over 2A.